Forty-five Indian companies are participating in the SIAL Paris exhibition – the largest international market place for food service professionals. Trade Promotion Council of India (TPCI) has inaugurated a special Indian pavilion in the ongoing mega exhibition for the participating companies. 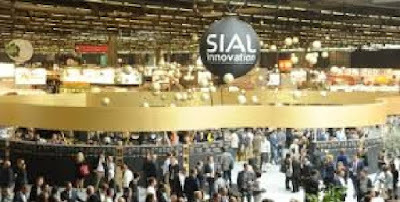 SIAL Paris is the leading exhibition of food service products with more than 7020 French and international exhibitors from 109 countries displaying their foodstuffs, ranging from ingredients to processed products, including fresh produce. Chairman TPCI, Mohit Singla, said that this exhibition is an ideal platform for the Indian participants to explore the business opportunities for trade, acquaint with new consumer trends, food innovations, food services, marketing tie-ups and joint ventures. He further stated that the interest being shown by buyers towards Indian products and companies in the ongoing exhibition will open up new vistas for co-operation between India and Europe. The exhibition is one of the most important get-togethers of buyers and sellers interested in dairy products, meat, fresh fruits and vegetables, tinned and preserved foods, semi-processed food products, organic products, health products and food supplements, seafood, and ready-prepared dishes, pet and poultry products and equipment and services. Indian companies are getting good inquiries from the buyers who have converged from all over Europe. SIAL Paris is held every two years, and is famous for culinary demonstrations by famous chefs every day. This unique culinary show stages SIAL Paris exhibitors’ products on the basis of current topics and trends: locavore cooking, fresh attitude, trends and textures, besides live cuisine lessons. Buyers throng this exhibition to discover fresh produce and raw supplies and Indian companies are making their mark felt through their products and cuisine.